UPDATE! : MiniDOOM is ready to play! Doom 4 will be released very soon, and it was a very influential game in my childhood (a million years ago) so my brother and I are making a parody game as a tribute. 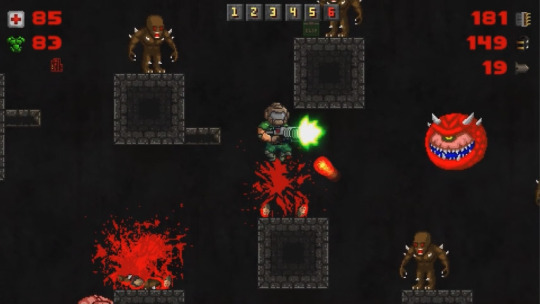 It will be doom as it was an old school platformer. I’m in charge of making all the graphics, animations and backgrounds while my brother does the programing.